No other group of nations is more vulnerable to climate change than low-lying Small Island Developing States. As a nation of atoll islands, the majority of the population lives on land less than two meters above sea level. The threat of coastal hazards such as sea level rise and storm wave impacts pose challenges to the islands for the people of Tuvalu. With a land area of around 26 square kilometres, spread over 750,000 square kilometres of ocean territory, much of Tuvalu is less than one metre above spring tide levels. The widest landmass is only 1.45 kilometres wide. The expected impacts of climate change-associated sea level rise in Tuvalu include coastal erosion, increased wave over topping and flooding, and associated salinization of soils. The small island state of Tuvalu is a Least Developed Country with considerable development challenges, including a small and fragile economy, geographical vulnerabilities and financial and technical barriers to building resilience. 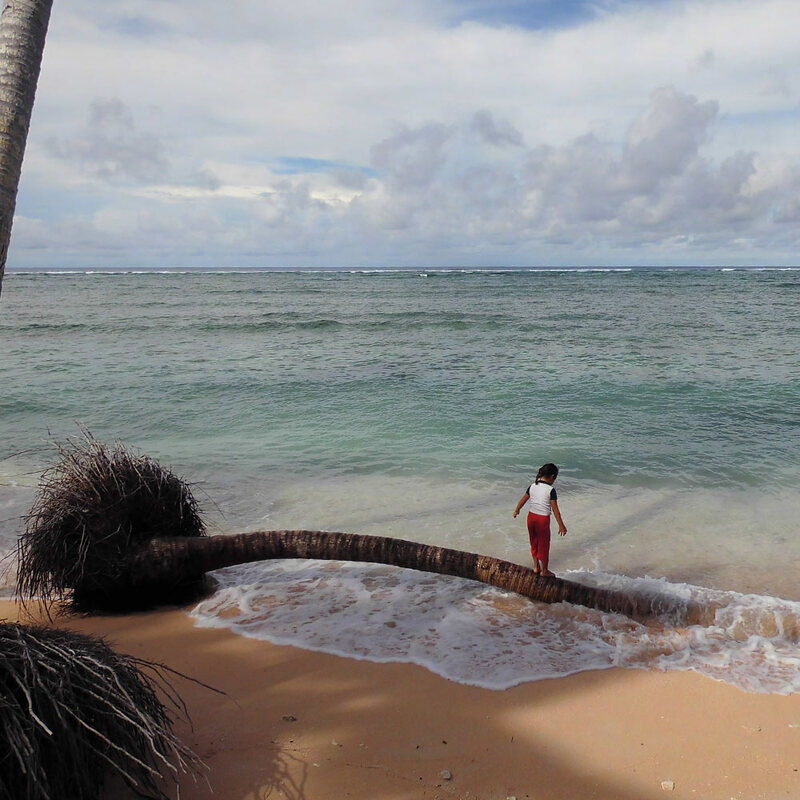 Increasing impacts of climate change will not only undermine Tuvalu’s efforts to achieve the Sustainable Development Goals, but also pose threats to the habitability and safety of their islands. 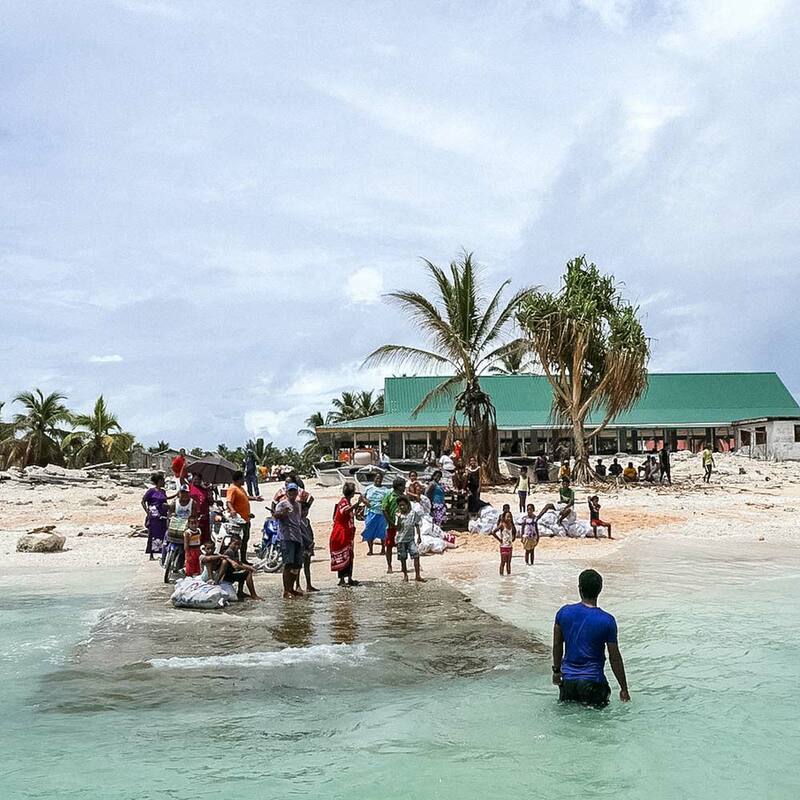 Development gains in Tuvalu can be easily wiped out by disasters. During Cyclone Pam in March 2015, storm waves destroyed homes, crops and livelihoods, and displaced 45 percent of the nation’s people. The cyclone inflicted economic loss and damage estimated at $US10.34 million, over a third of the country’s GDP at the time. Existing coastal protection measures are inadequate – to protect people and infrastructure in the immediate term, urgent action is needed. For a highly vulnerable small coral atoll nation, the consequences of climate change are frightening. The survival and security, along with fundamental human rights, and the entire cultural identity of our entire nation is under threat. Climate model projections for Tuvalu suggest extreme rainfall days are likely to occur more often; and whilst tropical cyclones may become less frequent, those that do occur are expected to be more powerful and destructive. Meanwhile, with global emissions reduction targets not being met, the world is gradually committing to more severe projections for sea level rise. Under the high emissions scenario RCP 8.5, the Intergovernmental Panel on Climate Change (IPCC) projects that global mean sea level is expected to rise by around 30cm by middle of this century, and by 75cm by the year 2100. Given Tuvalu’s low-lying islands and susceptibility to storm surge, these projections present sobering challenges. Tuvalu is simultaneously tackling climate change while advancing development priorities, joining its Pacific neighbours in driving forward the international agenda on climate change. Tuvalu has submitted its National Adaptation Programme of Action, Initial and Second National Communications and Intended Nationally Determined Contributions. A new national climate change policy is currently being developed by the Government of Tuvalu. With support from the Green Climate Fund, the Tuvalu Coastal Adaptation Project will enhance resilience to coastal hazards on the islands of Funafuti, Nanumea and Nanumaga. While new defence measures will act as a buffer during storms, the project will also build the capacity of government and local communities in adapting to climate change in the long term. Financed with US$36 million from the Green Climate Fund and $2.9 million from the Government of Tuvalu, the TCAP project will enable the Government to take steps to manage the risks of coastal hazards. Check out the latest news, photos and videos from the Tuvalu Coastal Adaptation Project.